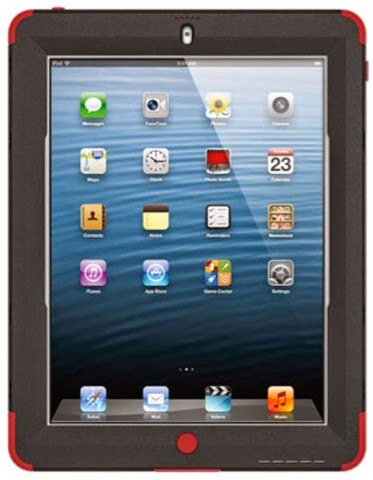 The following Kraken iPad case was provided by Tridentcase.com for the purpose of this TOS Schoolhouse Crew review. The Kraken A.M.S. Case for Apple iPad 2, 3, or 4 by Trident Case was put to use immediately upon delivery and it has become a permanent attachment to my iPad. 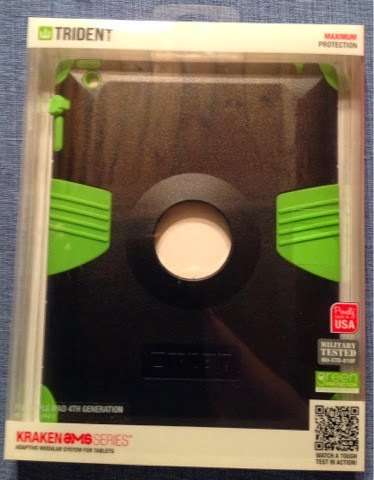 My oldest daughter opened the box when it arrived, unpacked it, and put the Kraken case on my iPad 2 with no problems. 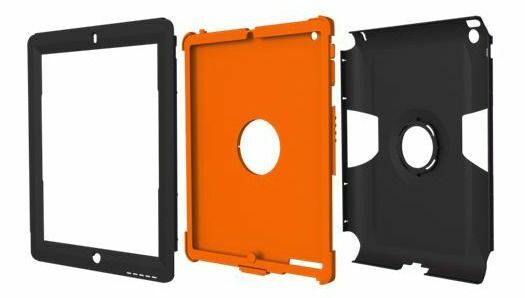 The case we received is compatible with Apple iPad 2, Apple iPad 3, and Apple iPad 4. My two previous problems with my iPad have been resolved since changing to this case. The cover I had before was one of the few available at our office supply store, and after repeated use the elastic straps stopped holding as securely as before. That affected picture taking as we had to constantly adjust the case or crop pictures to remove the corner obstructed by the previous case. The other issue that has now been resolved by the Kraken case is the risk factor. Watch their video and you may be as amazed as I am at the safety it provides. The inner layer (the green part of my Trident case) is shock-absorbing silicone. The outer "exoskeleton" layers (black on mine) are made of a hardened bio-enhanced polycarbonate plastic with a built in screen-protector. Along with me frequently dropping things, my son is a typical rough little boy. For our whole family, this maximum protection has passed the test. These cases are actually tested for drop protection 26 times onto concrete floors from 4 feet. Did I mention we have concrete floors? This is reassuring. We have dropped it (accidents happen) and there has been no damage to the case or the iPad. Thanks to my daughter for all of these pictures which obviously could not be captured with my iPad. It fits! No more adjusting the case to take a clear picture! It includes a screen cover. Mulberry juice is not the only sticky mess my iPad has been exposed to. That screen cover helps keep it clean. It is easy to clean! Simply wipe it off. The screen did have a bit of a static attraction. It is sturdy. The hard case is protective enough for me to be comfortable sharing it with my rambunctious nine year old son. Before this was even an option for review, I looked at these cases online. They are sold for $69.95. 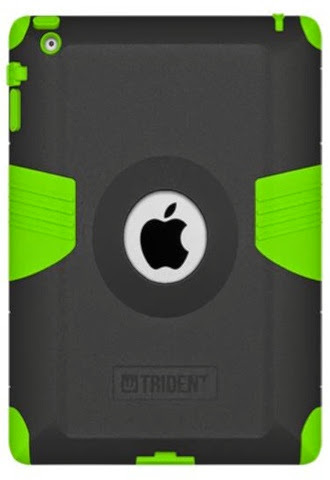 Receiving this Trident case has been a blessing. I read ebooks on my iPad in bed late at night, while everyone else in the house is sleeping. It was just a short time to adjust to the feel of the buttons through the case. I still find myself trying to close the cover, but if it just happens to fall off of the bed at night after I fall asleep reading, it is now safely protected. 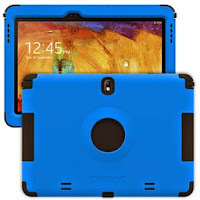 In addition to tablet cases, they also offer cases for smartphones and Kindles. My French chef in training needs one for her Kindle aka cookbook for protection in the kitchen.